So here is my Harley Quinn #1 retailer variant cover for DC Comics! 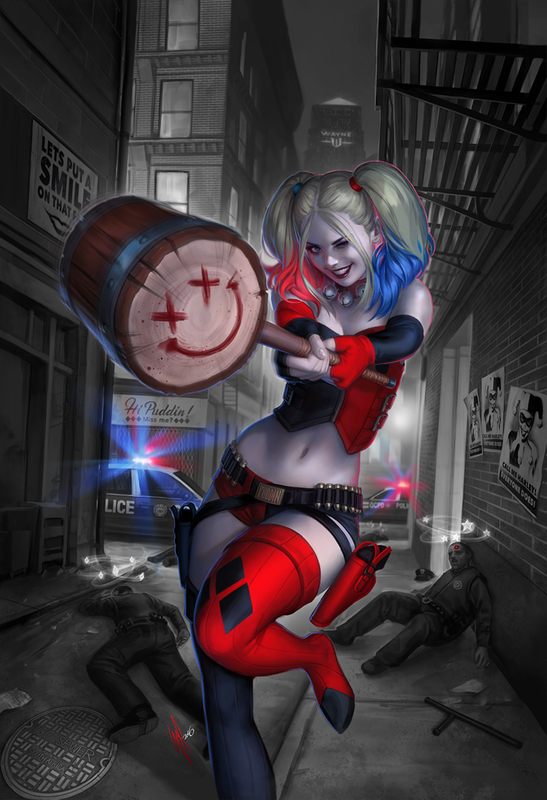 The concept to this artwork evolved during the progress of this artwork from her standing in an empty alley in a random pose with her hammer, to the background becoming a scene of an encounter with the Gotham police, with Harley now about to take a swing at you, the viewer. The background ended up being in black and white to help Harley stand out more and to also help with time management. In the end both DC comics and myself were very happy with the end result. The completion time took over a period of 12 days.